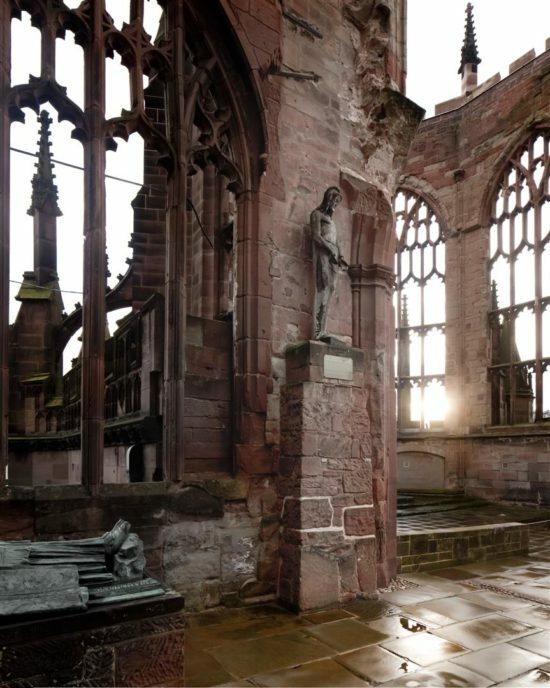 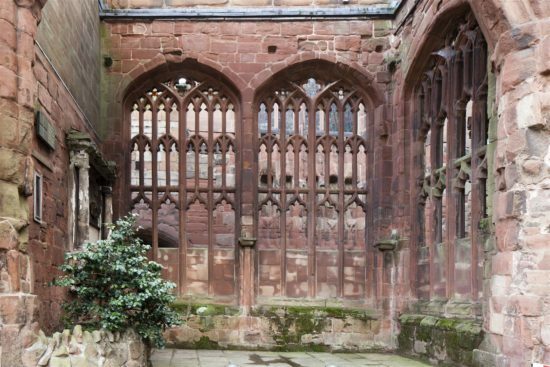 St Michael’s in Coventry was the only British Cathedral to be destroyed in World War II, and its iconic ruins have stood as vivid and moving testimony for over seventy years. 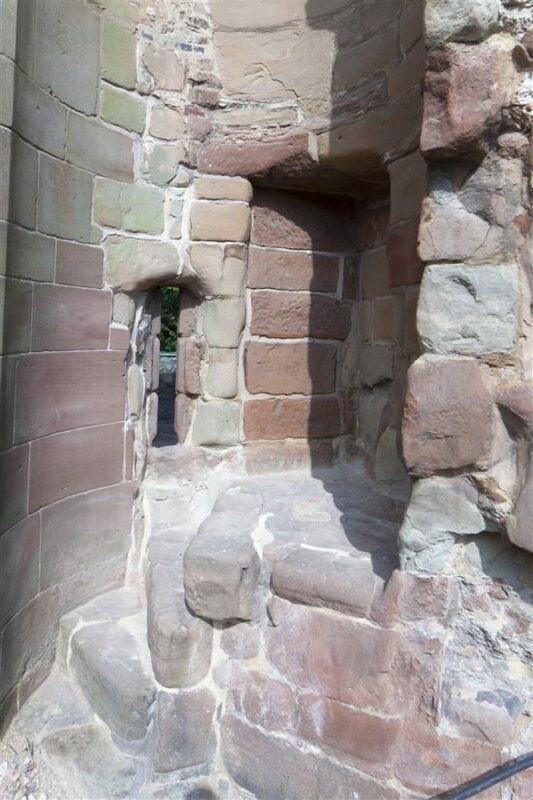 In 2011 sudden and alarming cracks appeared in the South West corner of the ruins. The crisis blocked off a nearby street and brought an urgent inclusion on the 2012 Watch. 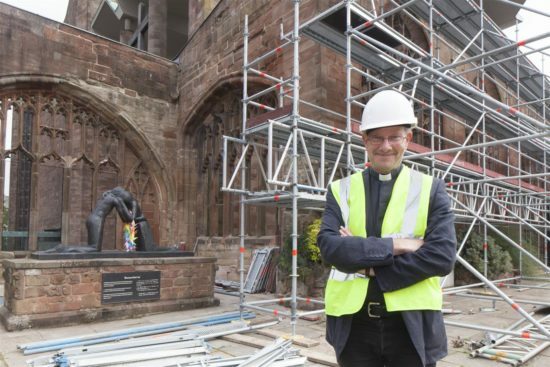 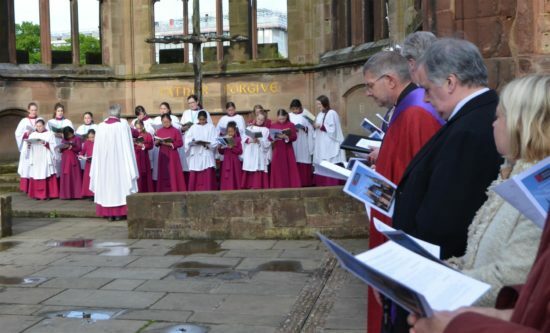 WMFB launched a major project at the site working in partnership with the Dean and Chapter of the cathedral to help transform Coventry’s unique historic assets. 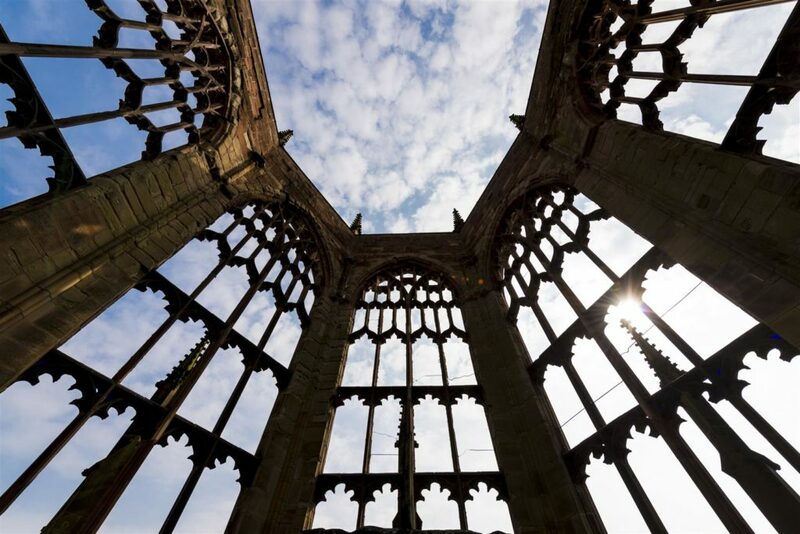 The campaign secured funds and provided guidance to safeguard the deteriorating ruins of St Michael’s and enabled the conservation of Britain’s largest collection of loose medieval stained glass. The first step was to repair and protect the ruins. 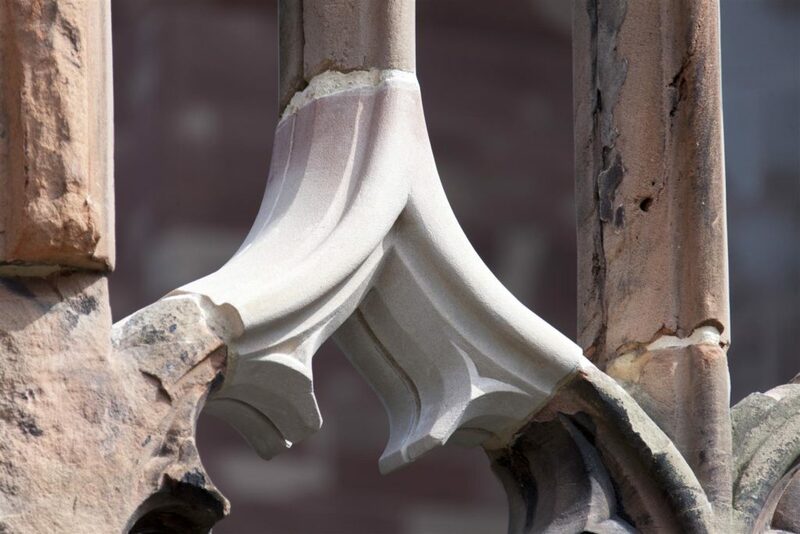 Emergency work began in autumn 2011 with the South West corner, where the alarming crack first appeared. 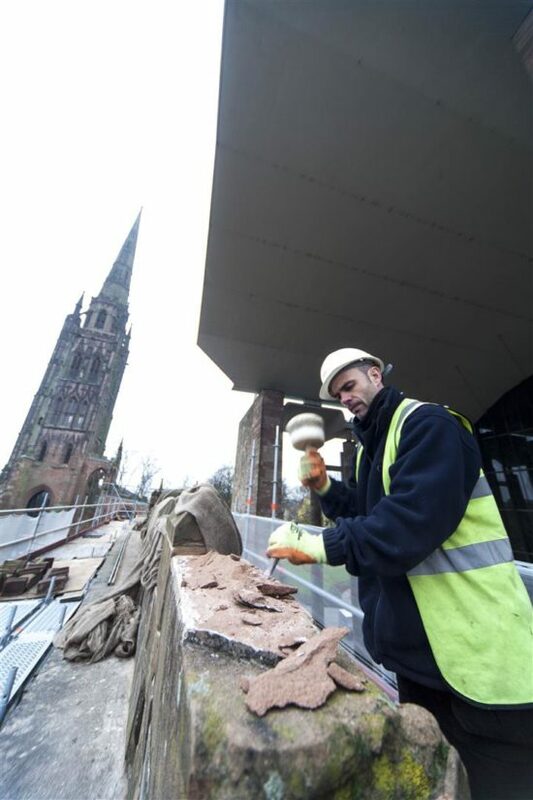 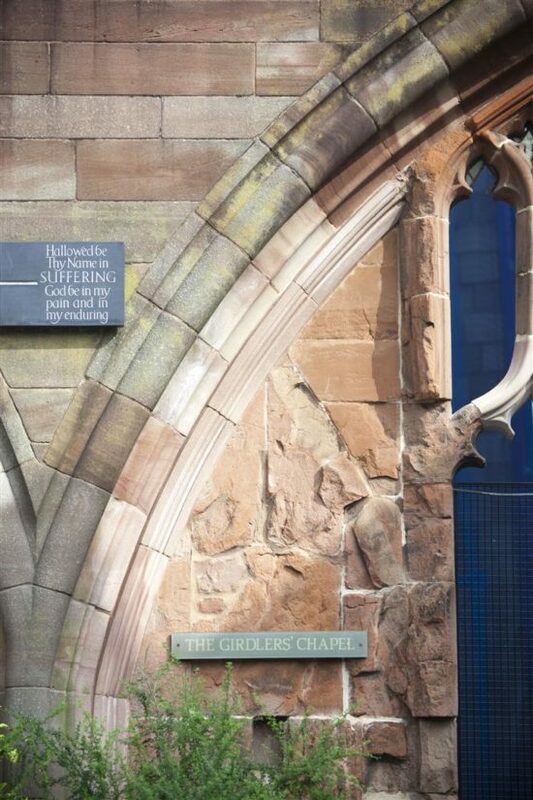 Crumbled masonry was repaired, the crafted red sandstone protected with capping, and defective drainage around the landmark steeple re-routed. 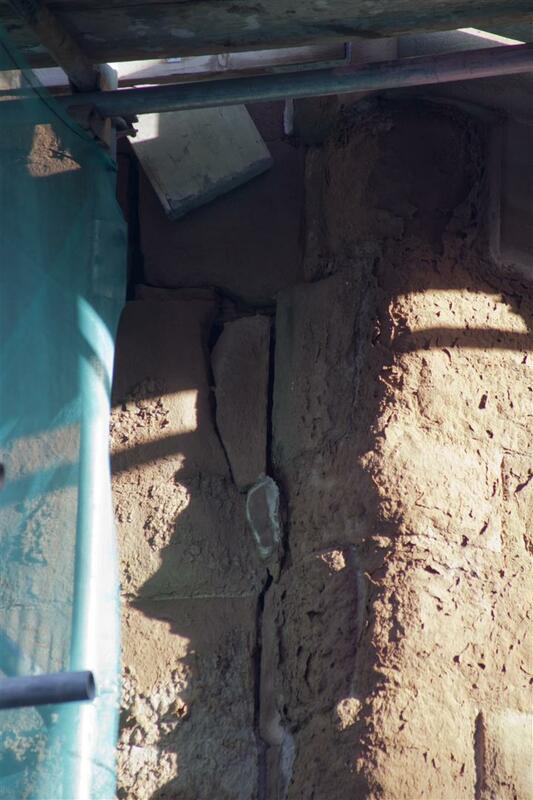 The second phase focused on repairs to the North West corner. 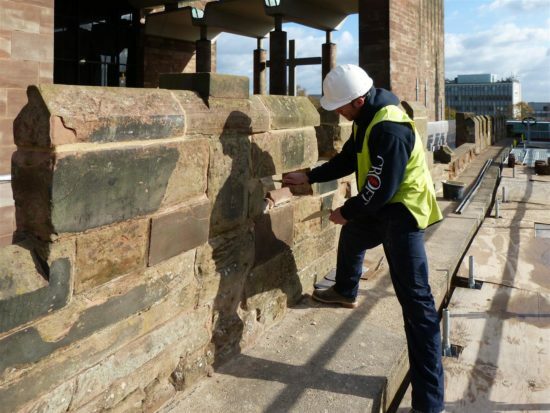 This was completed in spring 2013, and was followed by repairs to the North Wall. The parapet wall was rebuilt and failing concrete capping removed and replaced with lead capping. 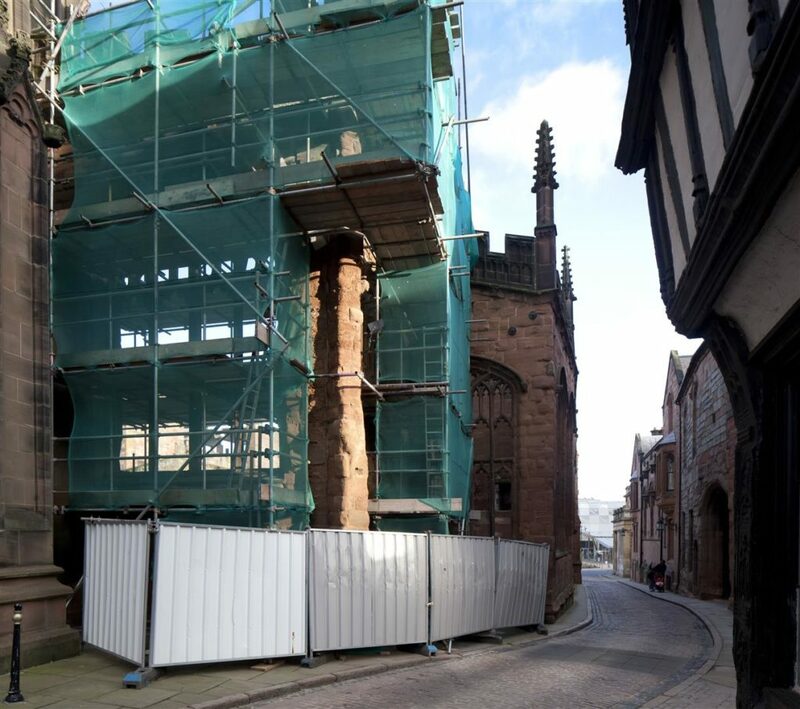 The final stages of this phase of the project are ongoing, and less than three years after the cracks in the ruins first appeared, work to fully repair and stabilise St Michael’s will complete in early 2015. 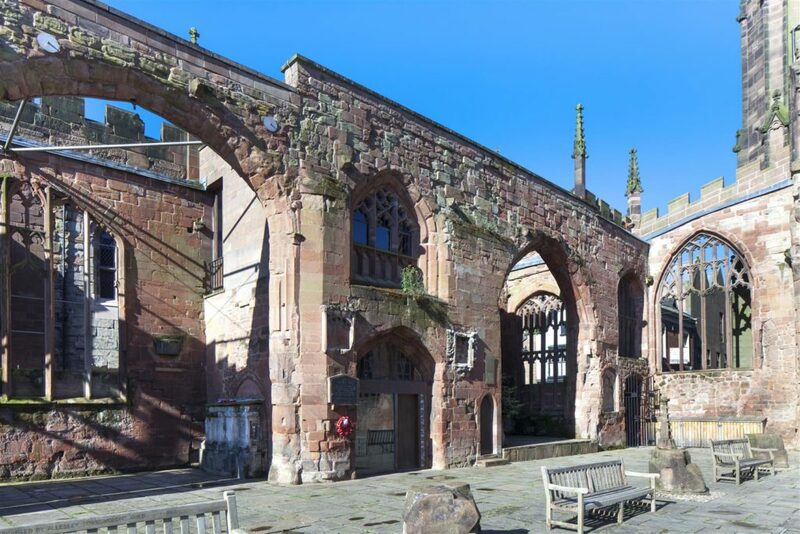 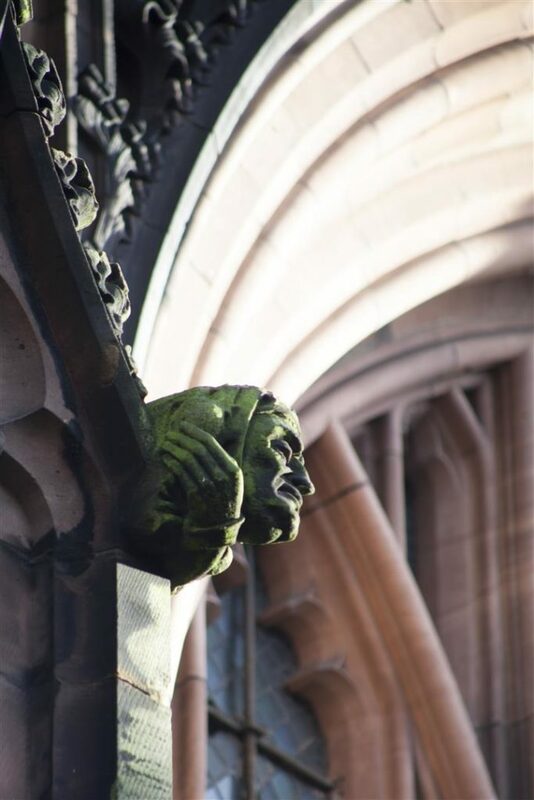 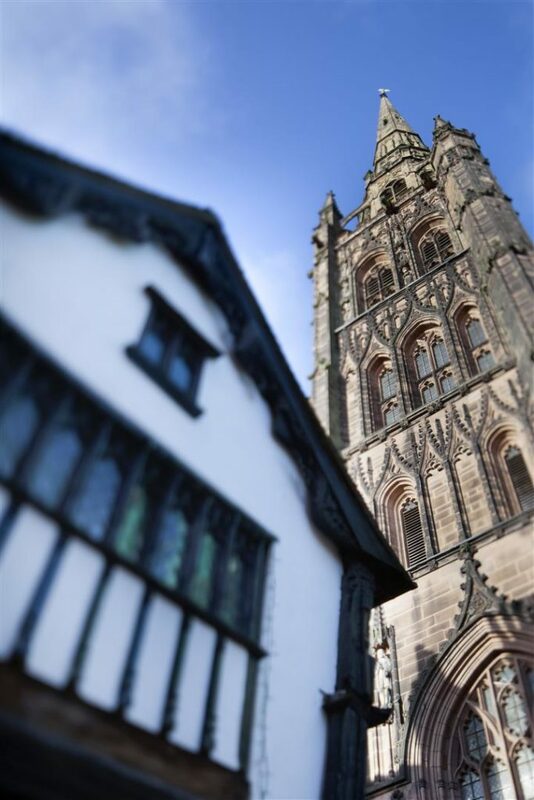 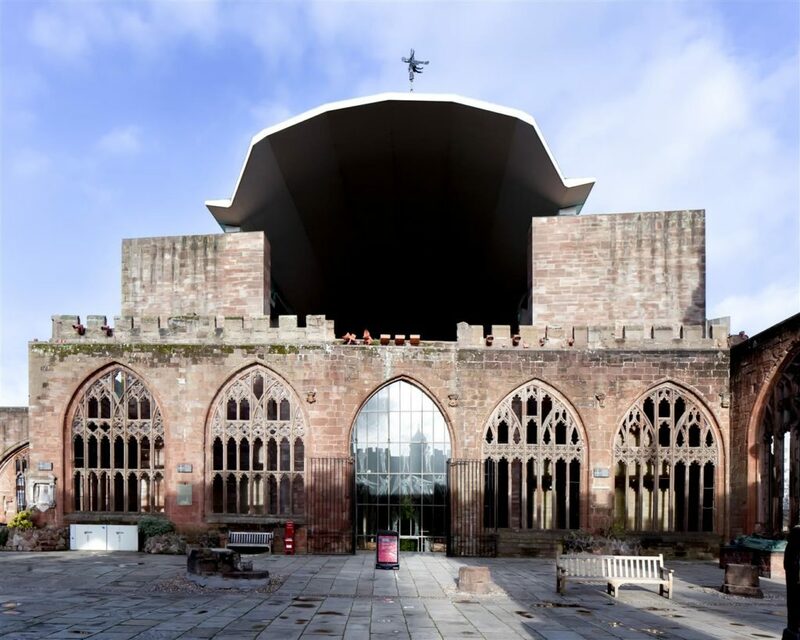 WMFB funded and commissioned a Conservation Management Plan to enhance the available spaces around the city’s ‘Cathedral’s Quarter’ and link them so that they become more useful and coherent, reinforcing the character and story of the city. Specialist consultants were commissioned to undertake detailed reports to fully understand the site and the opportunities. These reports were essential in helping to shape future phases of the project, looking into sustainable and viable options alongside maximising the benefits to locals and visitors alike. 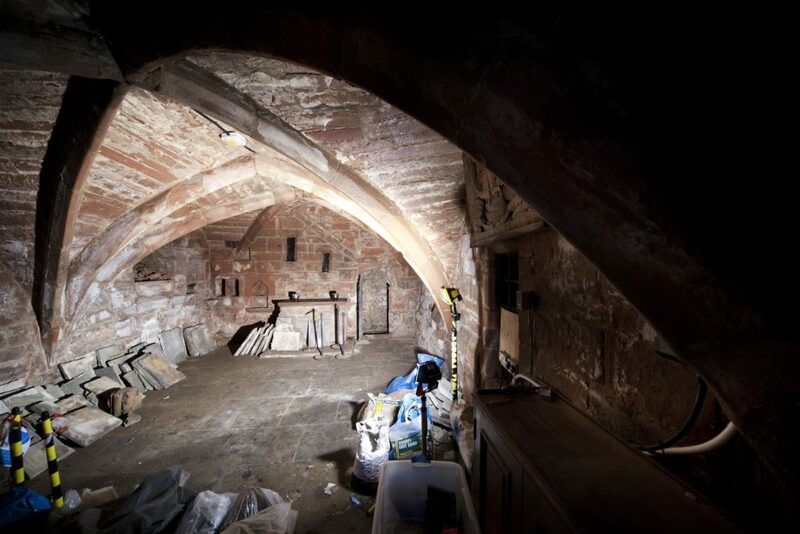 The Conservation Management Plan was completed in January 2013. 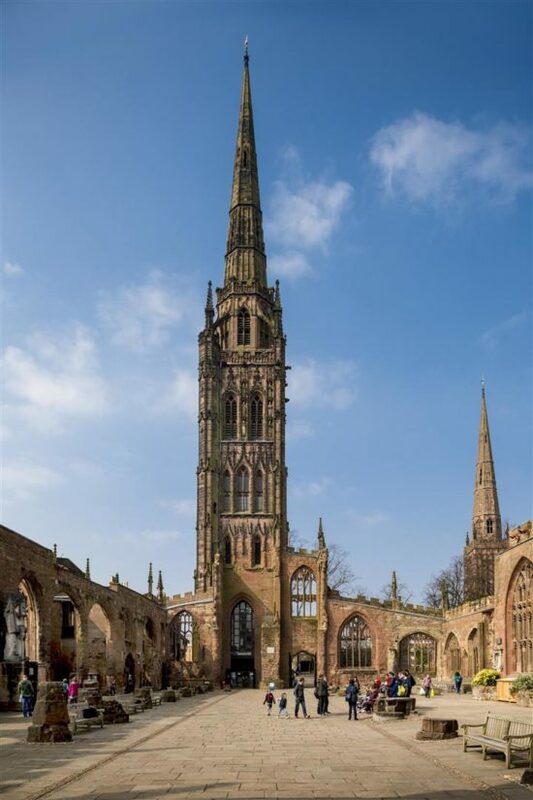 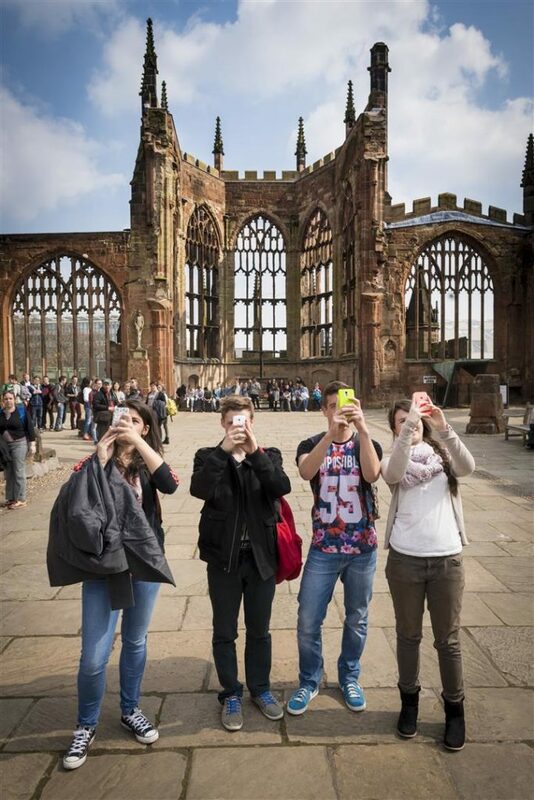 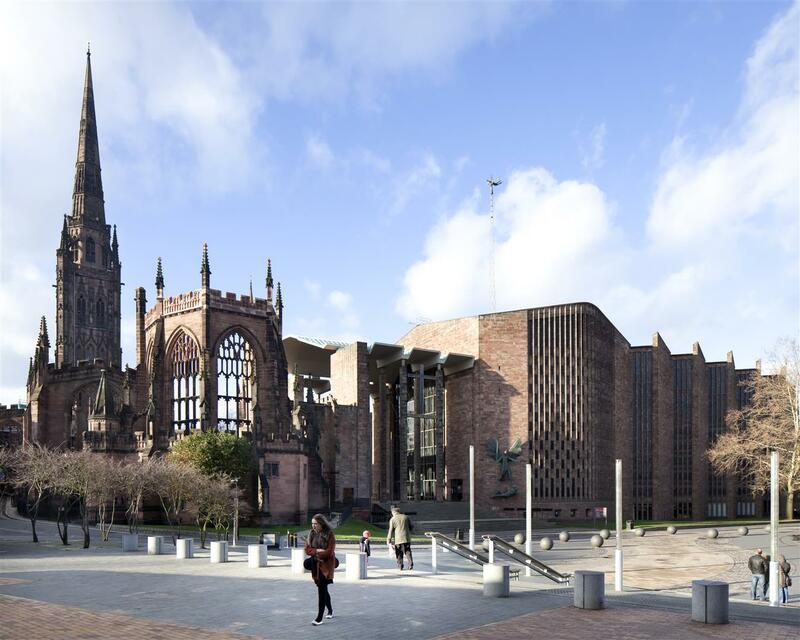 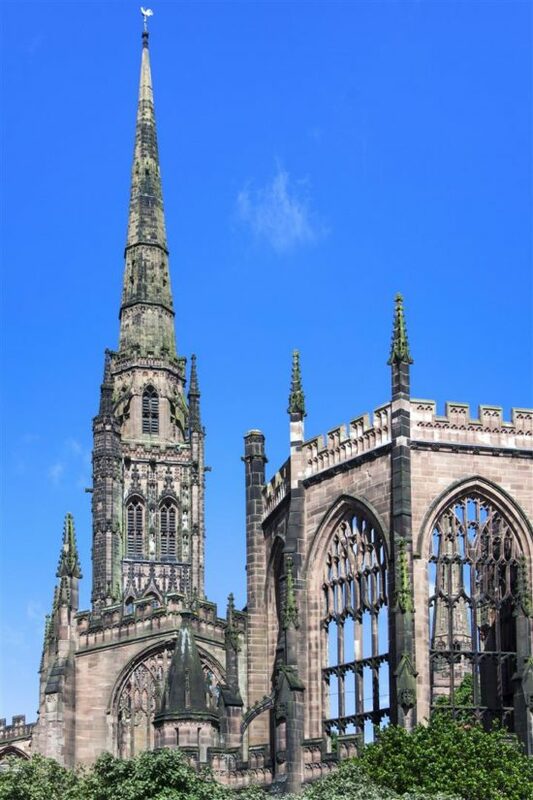 After Coventry Cathedral was gutted by incendiary bombs during World War II, a conscious and collective decision was taken to build a new cathedral and to preserve the ruins as a constant reminder of conflict, the need for reconciliation, and the enduring search for peace. First constructed as a chapel for the Earl of Chester’s castle in the twelfth century, the former Cathedral Church of St. Michael was significantly expanded during a time of prosperity in the late fourteenth century and eventually became the largest parish church in England. 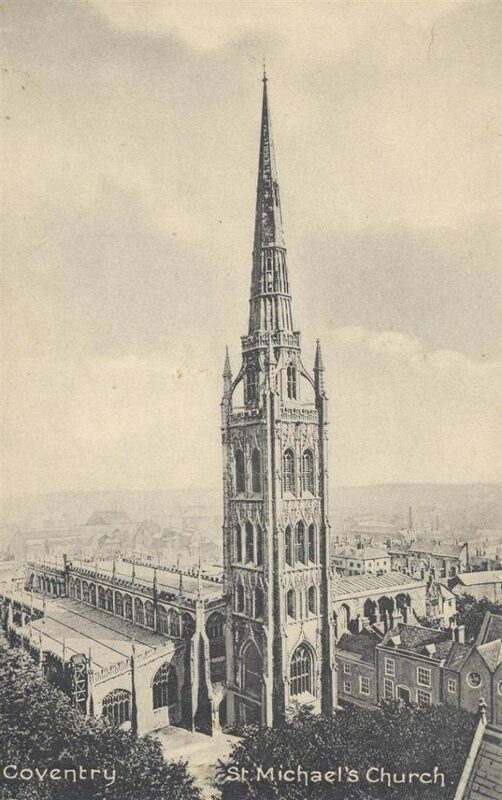 It was elevated to the status of cathedral in 1918. The vast Benedictine Priory of St. Mary also previously existed near the site, having been founded by Earl Leofric and Lady Godiva in 1043 and dissolved by Henry VIII in 1539 during the Dissolution of the Monasteries. Today, the excavated remains of the priory and the post-war cathedral coexist alongside the ruins of St. Michael, linking past to present. The ruins are still consecrated and used as a gathering place and site of reflection, and the weathered medieval sandstone of the tower, apse, and outer walls frame the open air space.